Most of us would agree that being money-wise and a good savings manager is a crucial skill for life, but this might never prove as true as when you become a parent. We all know how challenging at times can be to navigate around finances and would therefore like to raise money-wise children into successful adults. But are preschoolers ready to learn about handling a small amount of money? Are there real benefits of doing so? 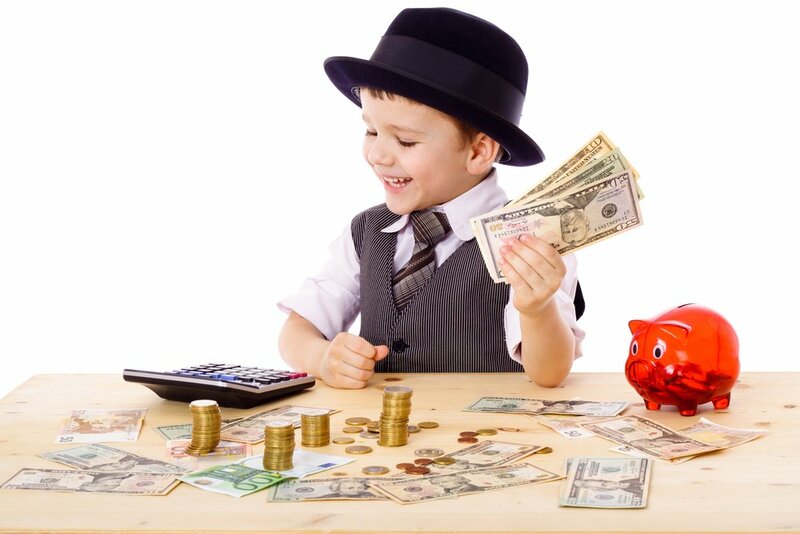 And, what’s the best way of learning about finances for small children? Developmental and social psychologists have stated that the kids’ first and intuitive experience of money is shaped by how it is managed inside the family. Also, frequently, their first encounter with personal money is through a small fixed allowance that is given to them periodically, usually granted that they have been on good behavior. Beyond functioning as a reward system for helping around the house, giving a young child the responsibility of deciding what to do with his savings has its benefits. Receiving an allowance does influence spending behavior in school-aged children. For example, in 1991 researchers from the University of Toronto studied kids that were given 4 dollars, either in cash or in a store credit, as an allowance and kids who weren’t. The children that didn’t receive an allowance at home spent more money when they received a credit card than when they received cash, while the kids that had experience with self-managing an allowance spent the same amount whether they received a credit card or cash. This effect was equally strong regardless of age, meaning that the 6-year-olds that had experience with an allowance where more sophisticated about money than the 10-year-olds that didn’t. Divide money for “saving”, “sharing”, and “spending” using 3 separate piggy banks or money-jars. Show your little one how to divide equally his allowance into the three jars and what use does the money inside each jar has. For example, the saving jar could hold money until a small toy can be afforded, the sharing jar can be used for donating for a cause that he likes or for helping a sibling or friend who is saving for something, while the spending money can be used for buying stickers. Help your kid set a goal like buying a toy he wants. Choose something that is not too expensive or he’ll get frustrated after a month of saving. It is normal for preschoolers to struggle with tolerating frustration, so help them build patience by setting an attainable goal with a small timeframe. When a goal is reached, remember the small steps it took and celebrate the patience and the importance of working and waiting. As an added value, teaching your son about money has many developmental perks! It will help his cognitive development and exercise his abstract reasoning, conceptual thinking, and problem-solving skills, as well as the socio-emotional aspects of experiencing and tolerating delayed gratification and sharing with others, among other things.